That other place of course is Haldane Place Wandsworth London SW18. The home of Airfix. This is of course not the place to discuss Airfix but I wanted to show- case some of my collection here. Of course they are a major part of the history of our hobby. They have survived as part of Hornby Hobbies who must be applauded for releasing some of the models from the Golden age of modelling. Sadly no major manufacturer produces Kits in the UK at the time of writing, Airfix is now produced in India. 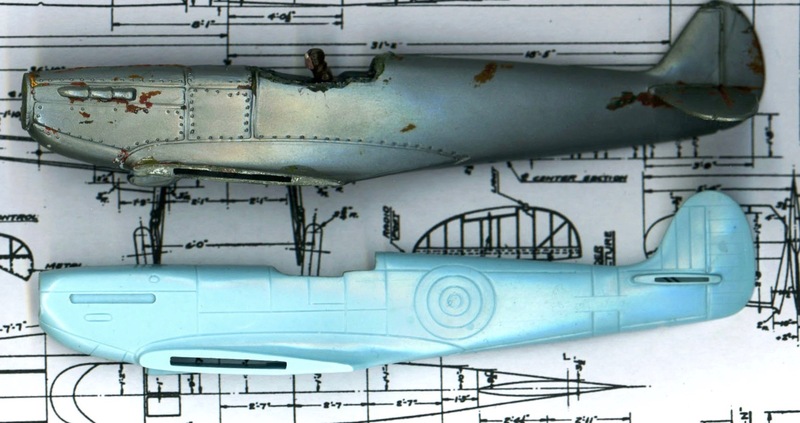 Interestingly The recently released Airfix Swordfish was designed using the original Frog plans ! 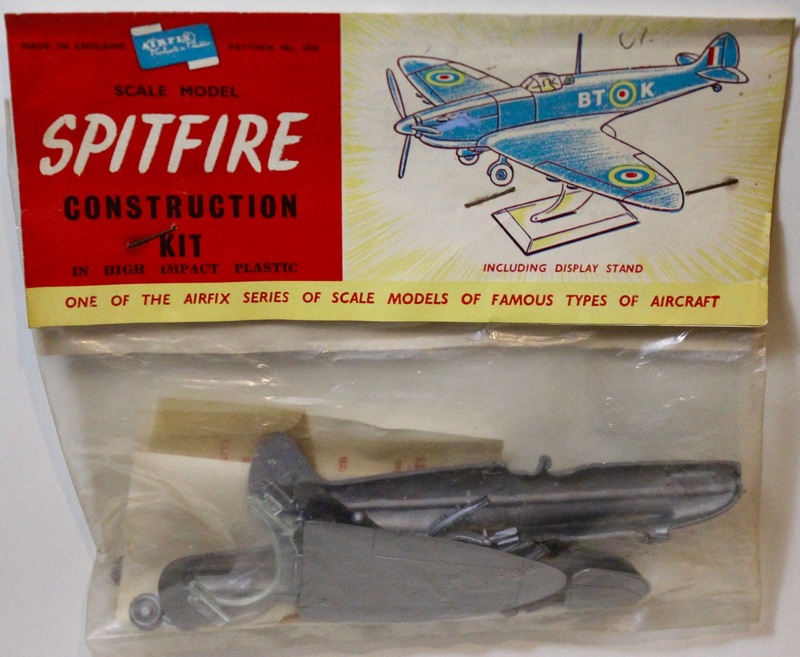 Frog can claim that it was the first manufacturer to mass produce model kits with it’s Penguin range dating back to the 1930’s but Airfix released the first injection moulded models starting with the Ferguson Tractor (yes I have one) Then on to the Golden Hind followed by the Spitfire. 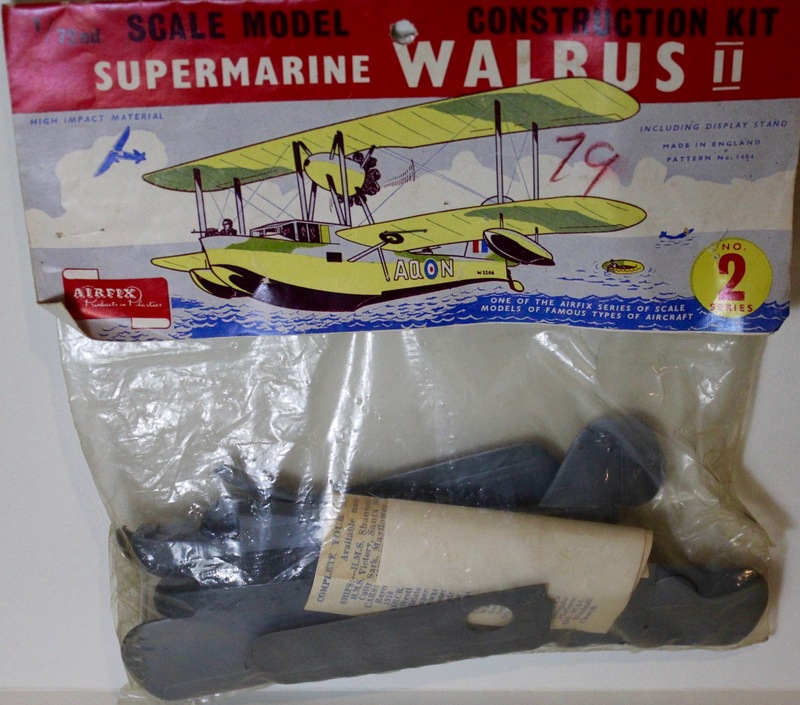 Airfix brought the hobby to the masses with its deal with FW Woolworths (also gone now from the UK) and by using plastic bags for packing, which was copied by other manufactures including Frog. 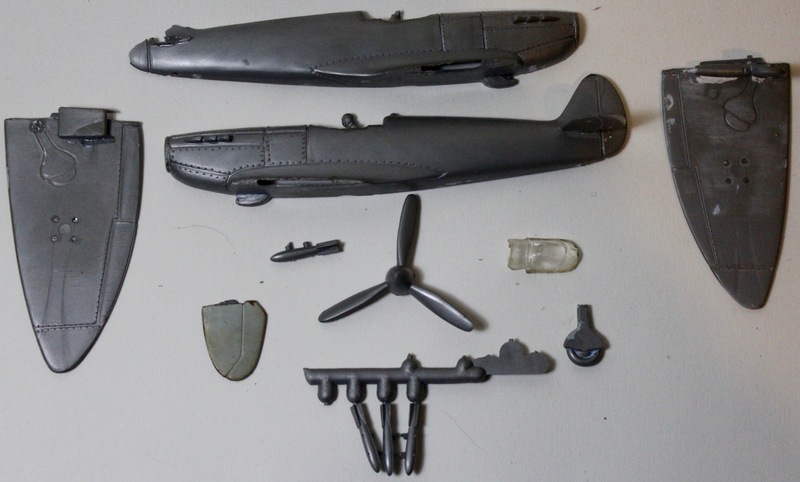 The Airfix 1/72 Wellington a favourite of mine…. It is a strange coincidence that both Frog & Airfix started less than 4 miles apart, both for a time moved to Calais and Frog finished in Westwood Kent now the UK home of Airfix. Luckily for us models from Frog are still produced to this day by Eastern European companies as well as by Revell. Today the hobby is very healthy and mainly aimed at the more mature modeller who more often than not cut their teeth on Airfix & Frog. BT-K The first Airfix Aircraft released in 1955 That’s 60 years ago now. Nearly as old as the author. Note the staples are rusty, a good sign the kit has never been opened and is mint. 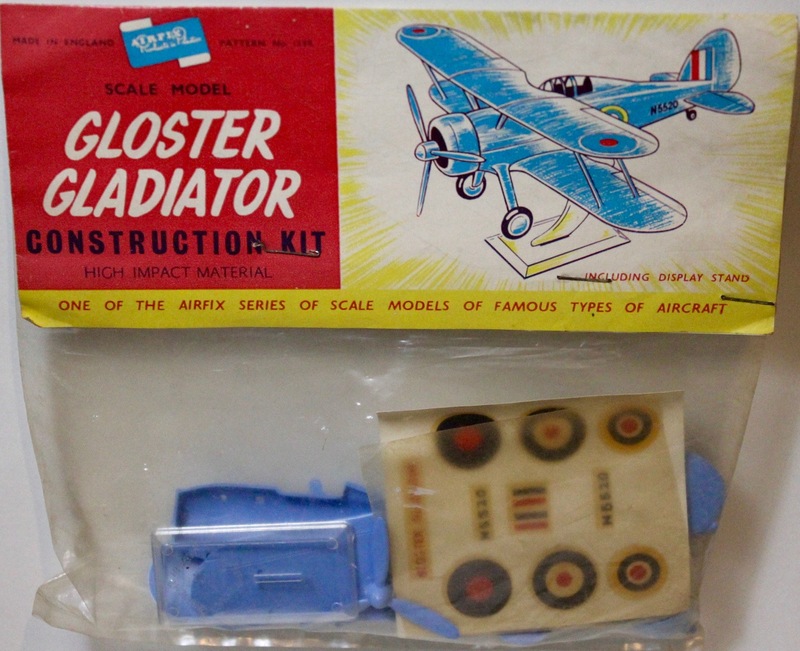 Another Early Airfix. The Gladiator.If you look carefully you will see the early square type stand. Frog also released a Gladiator. BT-K and Frogs Mk 11 Guess who did not use the Wylam plans? ! The Original BT-K The Aurora 1/48 scale Release. Airfix allegedly scaled this down to 1/72. Aurora used the totally inaccurate Wylam plans. As found !!! This sad looking model will be fully restored I have 3 of them in my collection plus a mint bagged one. 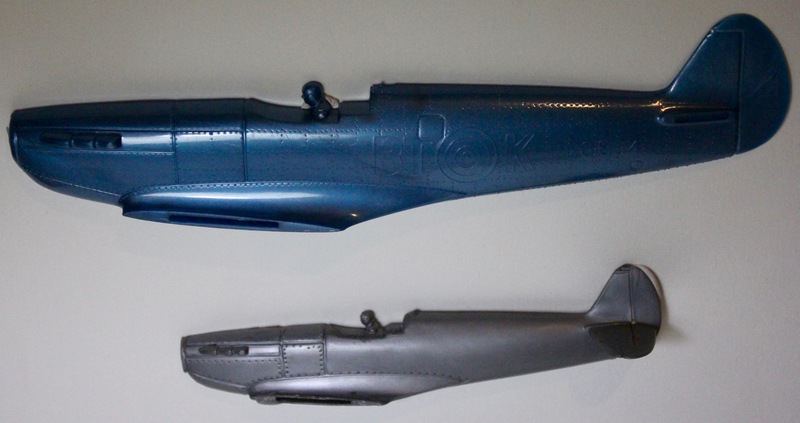 John D Jones released this fantastic resin version of the BT-K some years ago. I have John’s details if anybody is interested in getting one, That is of course if he still produces it..
Frog’s Spitfire 11 with fantastic artwork for the time. 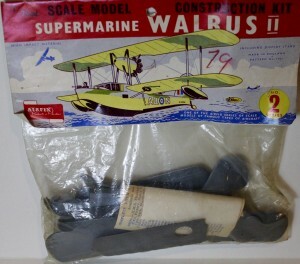 A nice series 2 bagged Walrus. Note the Lysander on the illustration. 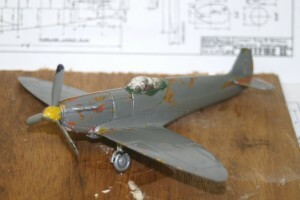 These are the very inaccurate plans that Aurora and later Airfix relied on to produce the BT-K Spitfire. 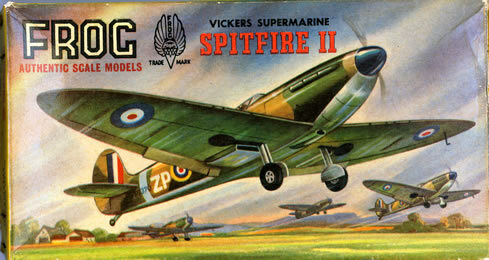 They were first drawn on the 30th October 1940 (the last day of the Battle of Britain) and published in the February 1941 issue of Model Airplane News. 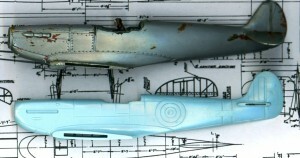 The plans purport to show a Mark 11, but the round oil cooler is closer to a Mark V The squadron code and serial number RG904 are however entirely fictitious. Frogs latter release is far more accurate in out line to a Mark 11. America had not yet entered the War at time these plans were published and the Spitfire was still classified as Secret. 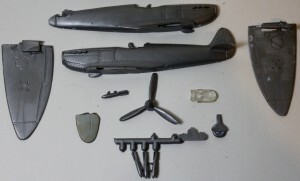 The name Airfix is to model aircraft what hoover is to vacuum cleaners.